‘Total cost of Loss’ (TCL) was launched at the World Premiere of the Standard Edition Round Table during the OUGF Harmony 2014 annual user conference. “TCL.” Abbreviations.com. STANDS4 LLC, 2014. Web. 15 Jun 2014. <http://www.abbreviations.com/term/1519392>. Total Cost of Loss is the representation of the cost for an organization when data is lost. Experience learns that this is the hardest exercise in business continuity to figure out and the most neglected threat to an organization. Next to the two best known terms RTO & RPO and the less well known term RTDA (‘Recover Time to Data Availability’), TCL is aimed at providing the business with an extra ratio to conduct BCP. To correctly evaluate investments that have to be done to create a sufficient RTO time frame or RPO granularity, there has to be an understanding of the magnitude of the (financial) importance of the underlaying (data)system. TCL is aimed at calculating this figure where this figure is valid per specific data system. * a granule of data is the smallest possible set of variables comprising a usable piece of information. The amount of effort (time, computing power, etc.) which is required to assemble and record the granule of data in the data-structure. For example: 1) the time it takes to pick up an item and scan it’s bar-code with a bar-code scanner and put the item back, or 2) the time it takes to enter somebodies name and address at admittance inclusive of possible preparation and filing. The current amount of effort (if possible) which is required to reassemble and record the granule of data in the datastructure. This entity is taking into account that historical data could be easy to collect at the historic point in time (#1) but would take an unequal effort to collect at present. For example: 1) establishing if the item was on stock at the given moment, what it’s bar-code would have read at that time and possibly who scanned it at what location, or 2) finding out what person came to be admitted at that specific date and retracing what the date would have been that was entered at that specific moment and possibly by whom. 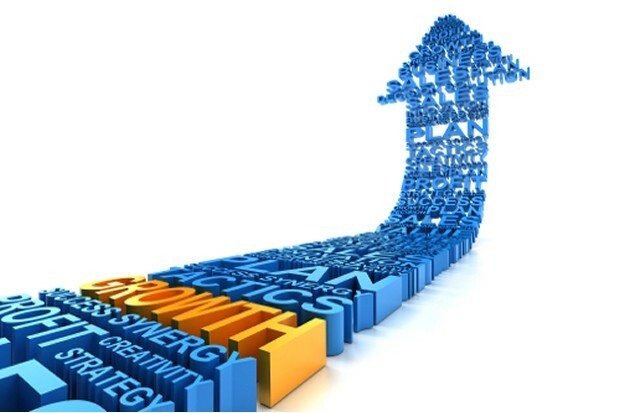 The value of the single entity of data for the operational business after the moment of measurement. During data lifetime, the value of a specific granule of data can change. Most often it will become less valuable, making it possible to archive or even cumulate** the data in multi teer storage solutions, but, when called upon, it could be this specific granule of data could be of vital importance! For example: 1) knowing how many of a specific item is in stock, or 2) having identified a specific person within the clientgroup. It can very well be and most probably is, that any granule of data is of key importance to a dataset combination, where several bits of data of different datasets of data-systems combined create information which is vital to any specific action within an organization. For example: 1) knowing how many of a specific item is in stock to support a JIT-delivery system to keep a production line uninterruptedly going, or 2) delivering the right treatment to any specific person and being able to bill them accordingly. ** Cumulation of data can destroy a recovery path for retrieving any specific granule of data. Creating a formula to calculate any TCL will be relatively easy. Creating a model to extract or calculate or even guesstimate the values for the different variables of the formula will be the challenge. A challenge that needs to be met because of the ever increasing volume of data and the ever increasing importance of certain realms, like healthcare, public services, transportation, etc., within this data mass. Please step on board and help define TCL as it could prove to be a critical factor when push comes to shove! In these times no household can be without ‘Home IT’ completely with a ‘home data center’. The figures for business data growth are at least equally applicable to the home situation, al least! 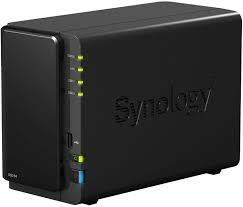 A few years back I came across a company called Synology. I met some product guru of them and somehow registered the product name. Lately some of my colleagues started working with Synology in their home IT, so I decided this would be the way to go! As I was running a fileserver with just a 100 Gigs of storage it was not hard to find something with a bit more capacity. And the decision finally wasn’t too hard indeed. A Synology DS (DiskStation) 214play it had to be and I decided upon 2 hard disks of 4 TB (Seagate Barracuda ST4000DM000) in a S.M.A.R.T. mirror setup. Okay, so decision made, product purchased, product setup (which was just made too easy by all the discovery tooling). Disks setup in RAID 1 and on with the show! It appears Synology has made 9 apps (for iPad / iPhone) that do all kinds of things! So, okay, this is a bonus already! Just place files in the correct folder and your in business! Okay, well, these are just a few, but I fear there are MANY more apps out there! Actually, from opening the box until being in business it took me 2 hours. Having a first run of customization down took me another 2 hours. will take me some hours still, but hey, this is more or less classifiable as hobby or at least additional functionality! So, in the end, all is good now, we got plenty of space, a lot of new functionality. I would say, ‘Yay Synology’! This document focuses on the perception of the Oracle database related to ‘Small and Medium businesses’, European Style. First we will take a quick look at Enterprise licensing and give a ballpark idea of prizes en possibilities. Next I will put this in perspective with more detail and will highlight possibilities to get ‘high end results’ with what is branded as ‘entry level’ investments. Everywhere I say Oracle, I mean the Oracle database. Oracle Enterprise Edition licenses are price-listed for over € 35.000 per processor. These CPU’s actually are not ‘real CPU’S’ but units which are defined according to Oracle’s Core Factor Table. An Oracle Enterprise Edition license allows you to a) install and use the Oracle Enterprise Edition software and b) buy additional tooling to complete the Enterprise software stack. In this setting there is Oracle Active Data Guard, Oracle Database Vault, Partitioning, etc. to consider. With Oracle Enterprise Edition it is possible to create a high performance, high available and ‘disaster resistant’ environment. Where it needs to be remarked that this program-set comes with an according price tag. A special exception in the Oracle license politics is the Oracle Standard Edition database. This installation uses the exact same database-software (binary compatible) as the Enterprise Edition edition but comprises a significantly reduced set of features and options that can be found in this global overview. The most important question is if these features and options are really needed to realize a high performance, high available and ‘disaster resistant’ environment. Let’s first quickly zoom into a practical example the indicate an investment-perspective. Based on a HP Proliant DL380 Gen8 E5-2690v2 Server with 2 processors with each 10 cores. 2 x 10 cores x 0,5 core factor = 10 licenses x € 37,492 = € 374,920 excluding maintenance. 2 x 1 processor = 2 licenses x € 13,813 = € 27,626 excluding maintenance. 2 x 1 processor = 2 licenses x € 4,578 = € 9,156 excluding maintenance. In this setting we can save up to € 365,764 by leveraging Standard Edition. The reason is that the Standard Edition software is significantly cheaper but mainly because of the fact that the Standard Edition software is licensed per processor socket in stead of by the units defined by the ‘Core Factor Table’! The limitation is that Standard Edition has a limit of 4 sockets per server and Standard Edition One is limited to 2 sockets per server. This is an important fact! In our example it is possible to decide in favor of Standard Edition One. What we can subsequently deduce is that we have a theoretical budget of about € 350,000 available to make sure we have a sufficient high performance, high available and ‘disaster resistant’ installation. Even if we were to consume all of this budget, which is not very likely, the return on this investment remains high because the year-by-year support-cost for this environment is ((10 x € 8,248.19) -/- (2 x € 1,007.15)) € 79,467.60 per year cheaper. In this calculation possible discounts have not been included. Looking at the volume of the investment differences any discounts will have to terminating influence. The year-by-year support-cost will remain based on the original price of the software. One of the most significant hurdles with leveraging the Oracle software is virtualization, where technical considerations are not the toughest to deal with; the license consequences are! As we concluded, Oracle Standard Edition is applicable on max 4 processors. In case of virtualization, it is true that all processors of all hardware, where the Oracle database can migrate to, either automatically or with live migration. With this rule it is nearly impossible to leverage Standard Edition licenses and will is it be nearly impossible to use virtualization in a ‘small to medium business’ setting… Unless a smart alternative is chosen. By leveraging virtualization-software as a abstraction layer, a server installation can be separated from the physical hardware configuration on which it runs. By using this alternative it is possible to recover from hardware failure more efficiently. By using a limited virtualization-cluster of 2 nodes with 2 sockets each having the maximum possible number of processor cores, the complete advantage of virtualization can be created using the maximum advantage of Standard Edition. Please note that we would need a Standard Edition license. Alternatively you could create a cluster with 2 x 1 socket to facilitate the usage of a Standard Edition One license. In the case software from a third party is used, this software development party can agree on using a Embedded Software License; from Oracle. This form of licensing is quite specific and is therefor not further discussed here. Virtualization is not replacement for Backup and it is no alternative for disaster proofing an Oracle database. These specific tasks are resolved by using backup of standby database tooling. In the beginning of this article it is indicated that the Oracle Enterprise Edition software give you the right to buy additional tooling to complete the Enterprise Software installation. Based on the information above we can conclude there are good possibilities to leverage the Oracle Database in a ‘Small and Medium Business’ environment. The information above is no complete and ultimate description of all possibilities, but this quick overview gives enough to work with to zoom into any specific challenge.